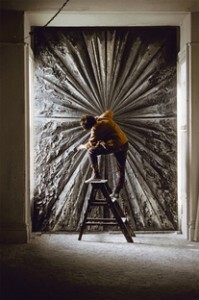 Jay DeFeo: A Retrospective is the definitive exhibition to date of the work of Jay DeFeo (1929–89). At the outset of her career in the 1950s, DeFeo was at the center of a vibrant community of Beat artists, poets, and musicians in San Francisco. Although she is best known for her monumental painting The Rose (1958–66, now in the Whitney’s collection), which she spent eight years making and which later languished hidden behind a wall for two decades, DeFeo created an astoundingly diverse range of works spanning four decades. Her unconventional approach to materials and intensive, physical process make DeFeo a unique figure in postwar American art who defies easy categorization. The full breadth of her work will be presented for the first time in this exhibition of more than 130 objects. If you’ve got a craving for barbeque, check out Brother Jimmy’s Bait Shack as the ribs, chicken, beef, and pork are all smothered in some amazing BBQ sauce. BB&R, which stands for Blonde, Brunette, and a Redhead is the brainchild of three best friends. What they’ve created is something between a neighborhood bar and a lounge with leather seats in the front and a pool table, photo booth, and video games in the back. Looking more like it came out of Willie Wonka and the Chocolate Factory, Dylan’s Candy Bar is a colorful place to get lollipops, licorice, and all things sugary. Don’t go crazy though, or your sweet tooth might melt here!